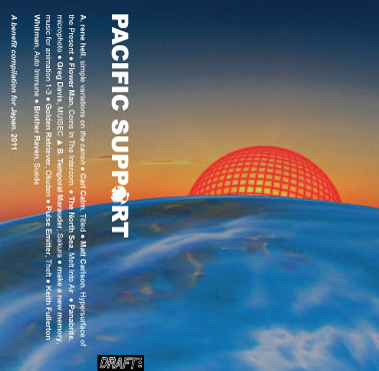 Draft Records has put together an excellent compilation tape to benefit Red Cross for the ongoing recovery in Japan. It has a new Golden Retriever song as well as a new Matt Carlson song, along with new tracks from great experimental electronic music artists like Rene Hell, Pulse Emitter, Keith Fullerton Whitman, Greg Davis and more! They are only $8.00 shipped in the US and all proceeds go to Red Cross, so please buy one and feel good! Seth Nehil has just posted an extended interview with O.P.S. at the Intransitive Recordings blog. Check it out.